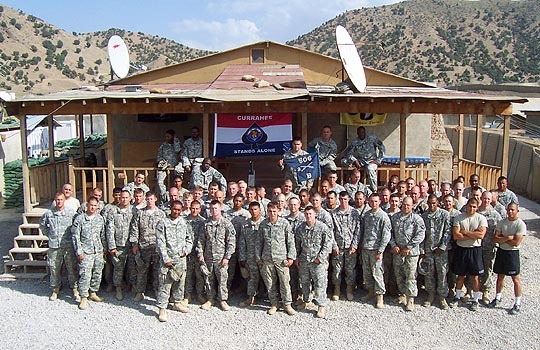 Combat Team, 506th Infantry, during their 2008-2009 deployment to Afghanistan. 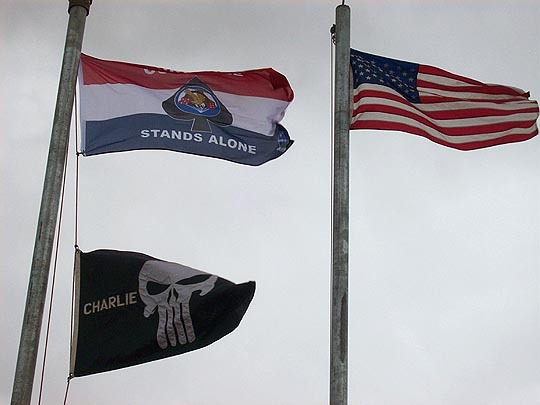 love this flag and are asking every day how they can get one. strong. Please accept my heart filled thanks for this. 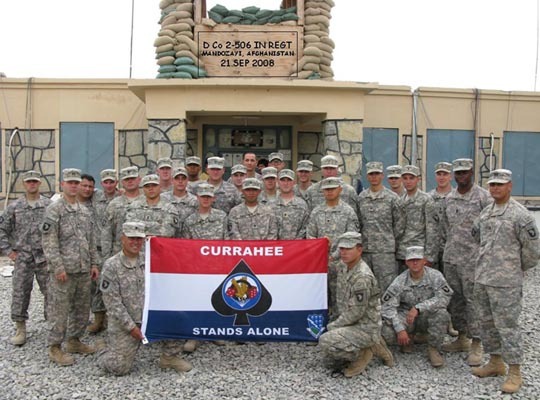 Currahee! 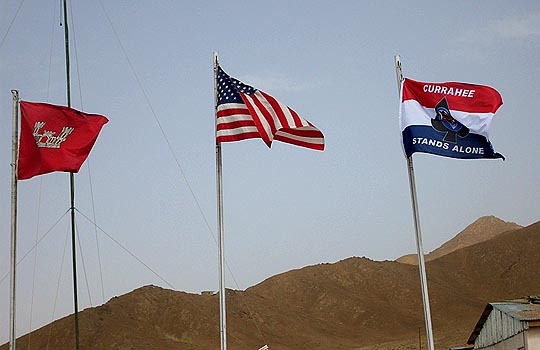 Sappers lead the way! the day we depart this country. 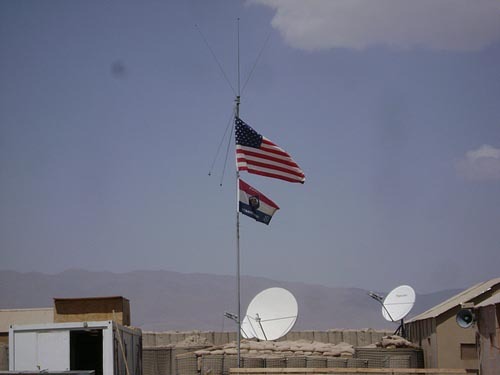 Dining In following our last Iraq rotation in which COL Sietz was the guest speaker. on our thanks to all the members of the ASSOCIATION. 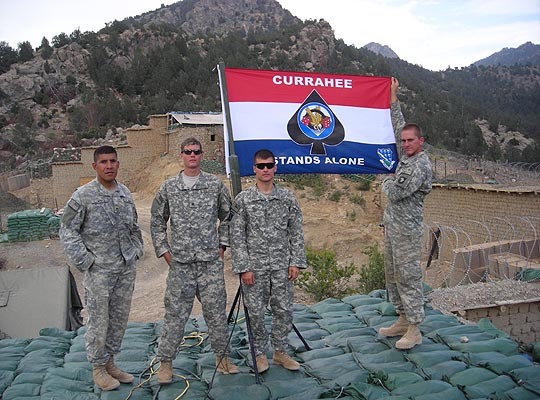 of the Currahee Flag flying over COP Zormat in Afghanistan. 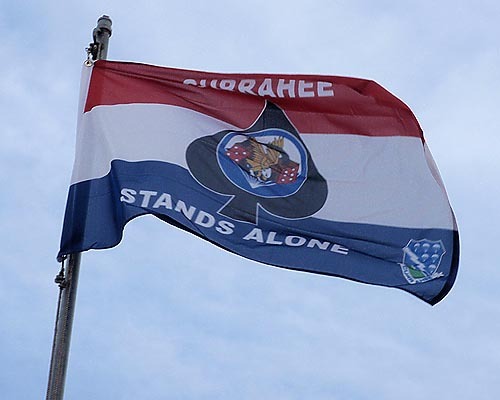 to uphold the traditions of all Currahees, past and present.